One marker of bassist Michael Formanek's creativity and versatility is the range of distinguished musicians of several generations he's worked with. While still a teenager in the 1970s he toured with drummer Tony Williams and saxophonist Joe Henderson; starting in the '80s he played long stints with Stan Getz, Gerry Mulligan, Fred Hersch and Freddie Hubbard. (As a callback to those days, Formanek recorded with hardbop pianist Freddie Redd in 2013). The bassist has played a pivotal role on New York's creative jazz scene going back to the '90s when he notably led his own quintet and played in Tim Berne's barnstorming quartet Bloodcount. Nowadays Formanek performs in the co-op Thumbscrew with Brooklyn guitarist Mary Halvorson and drummer Tomas Fujiwara. Formanek is also a composer and leader of various bands. 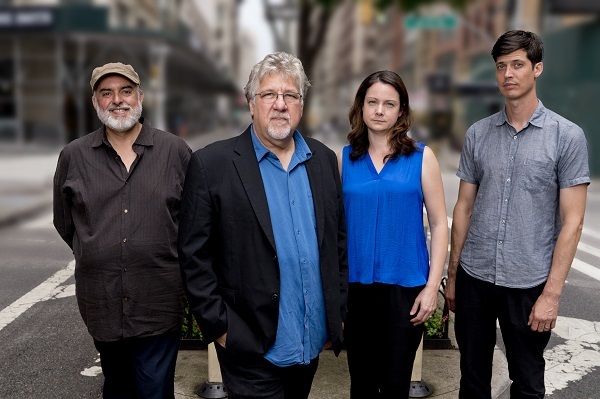 His principal recording and international touring vehicle is his acclaimed quartet with Tim Berne on alto saxophone, Craig Taborn on piano and Gerald Cleaver on drums, which records for ECM; 2010's The Rub and Spare Change and 2012's Small Places both earned coveted five-star raves in Down Beat. Formanek writes, and the quartet plays, compositions of great rhythmic sophistication that unfold in a natural sounding way – challenging music the players make sound like lyrical free expression. His occasional groups include the 18- piece all-star Ensemble Kolossus, roping in many New York improvisers he works with. Ensemble Kolossus recorded their first CD of all Formanek originals for the prestigious ECM label in December of 2014. The CD, The Distance was released in February 2016 and in addition to numerous other accolades also received a five-star review in Downbeat! 2018 was an eventful year with the simultaneous release of two CDs with Thumbscrew, Ours and Theirs, on Cuneiform, and subsequent festival, concert and club performances including the Atlanta, San Francisco, and Vancouver Jazz Festivals, and a successful weeklong engagement at the Village Vanguard in New York City.